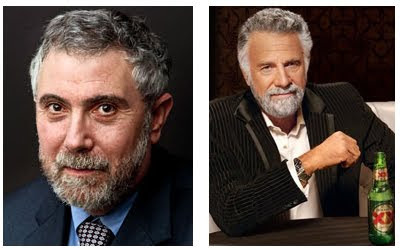 Home » dos equis , humor , paul krugman , the most interesting man in the world , the new york times » Separated at birth? On the left is Paul Krugman, columnist for The New York Times. On the right is The Most Interesting Man in the World, spokesman for Dos Equis beer. I always think this when I see Paul Krugman's picture!